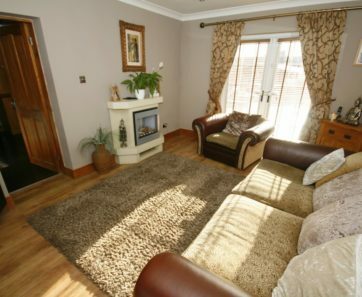 A magnificent much improved and extended family home situated on a superb plot with GATED ENTRANCE, driveway for substantial parking, LARGE GARAGE, BREATHTAKING 8m x 4m LOG CABIN designed by professionals to create a tremendous entertaining space including a bespoke bar..
INTRODUCTION A magnificent much improved and extended family home situated on a superb plot with gated entrance, driveway for substantial parking, DOUBLE GARAGE, BREATHTAKING 25'6 x 18'8 LOG CABIN designed by professionals to create a tremendous entertaining space including a bespoke bar. 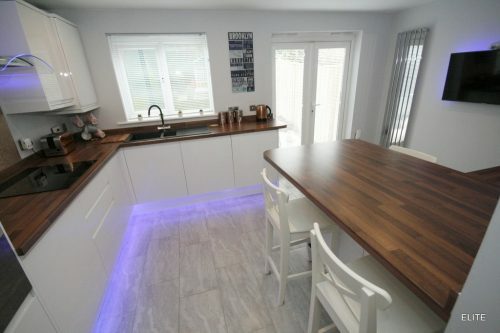 The property benefits from vast improvements to create a stylish home to suit a growing family and being PRICED TO SELL making this affordable for the FIRST TIME BUYER TOO. 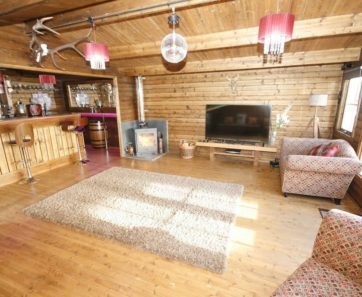 Internally the elegant design continues with a stunning bespoke kitchen, dining room with feature fireplace, lounge with French doors leading out on to the impressive seating decking area leading to the awesome log cabin and LARGE GARAGE. 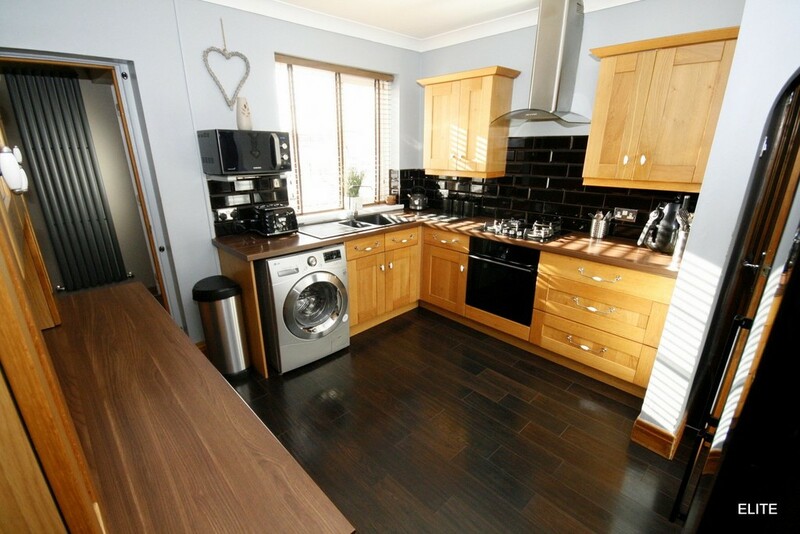 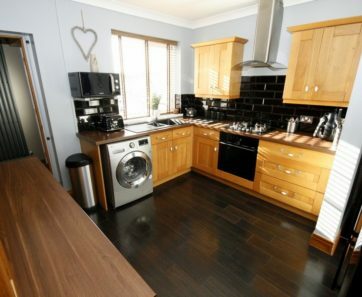 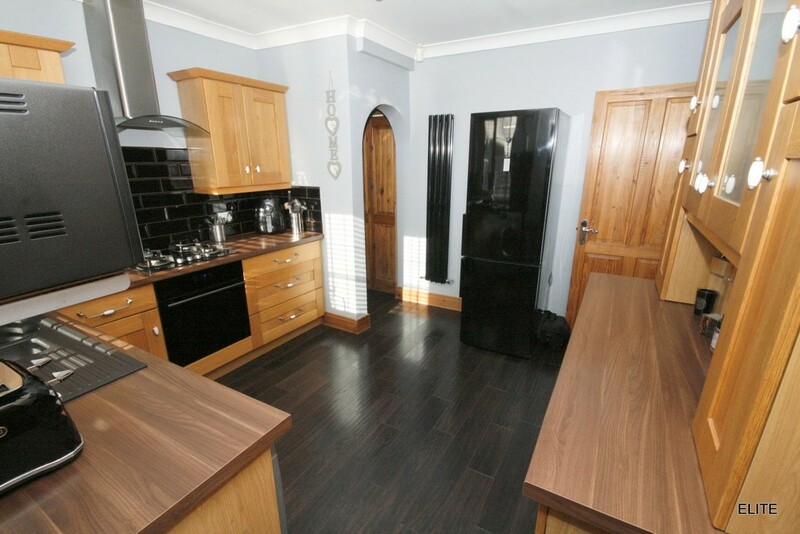 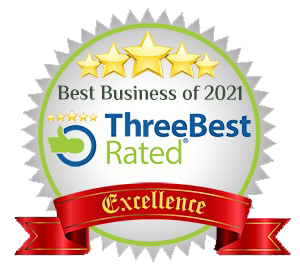 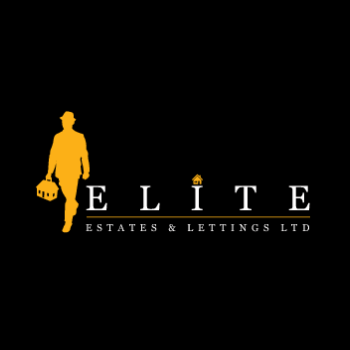 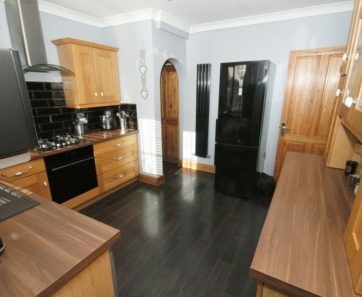 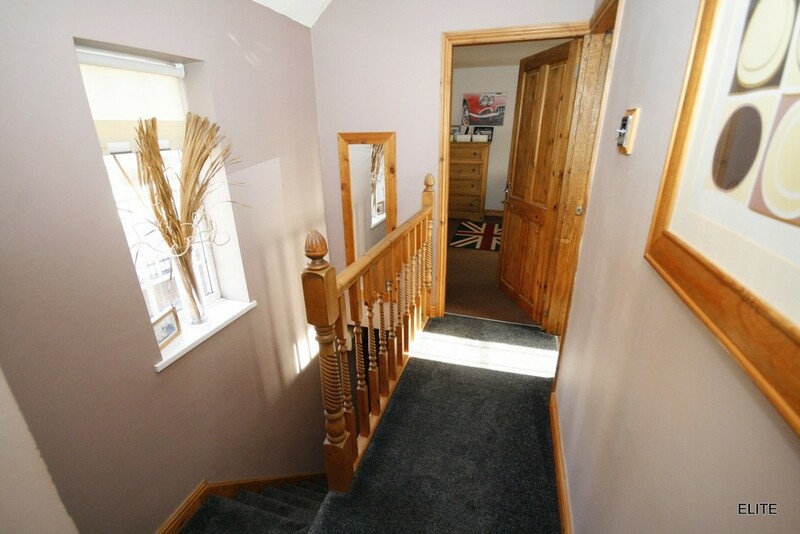 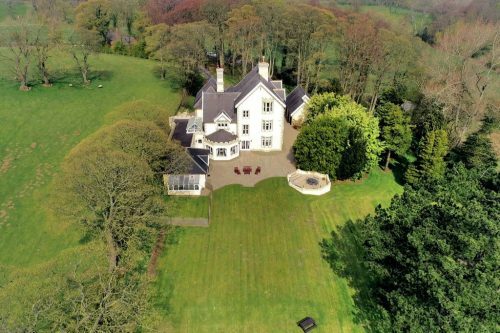 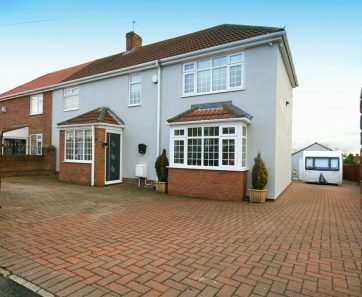 This property has been priced to sell and in the opinion of Elite Estates viewers will not fail to be impressed! 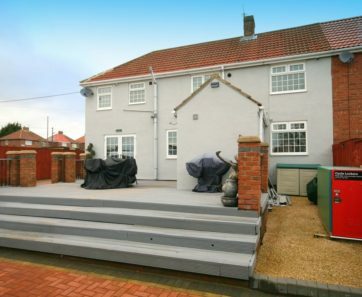 ENTRANCE PORCH Accessed via the brand new grey contemporary style composite high security weather tight door with long chrome handle into the new addition porch with window, radiator and central light. 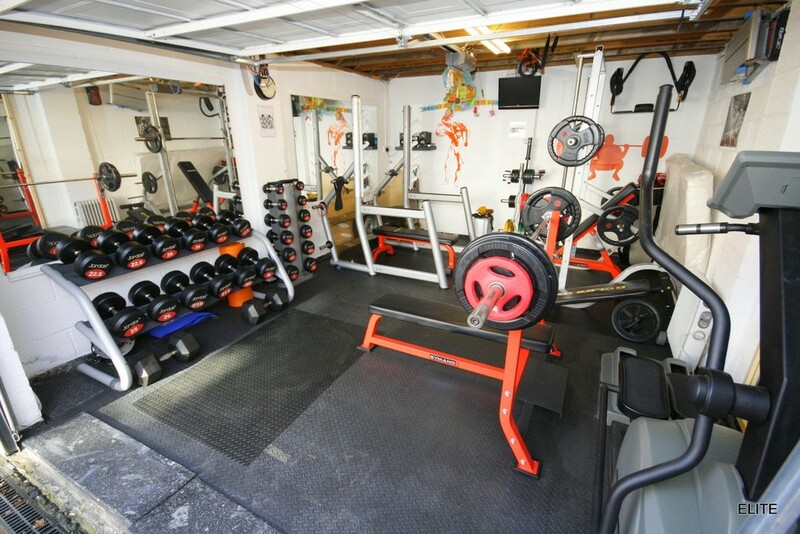 Ideal boot room. 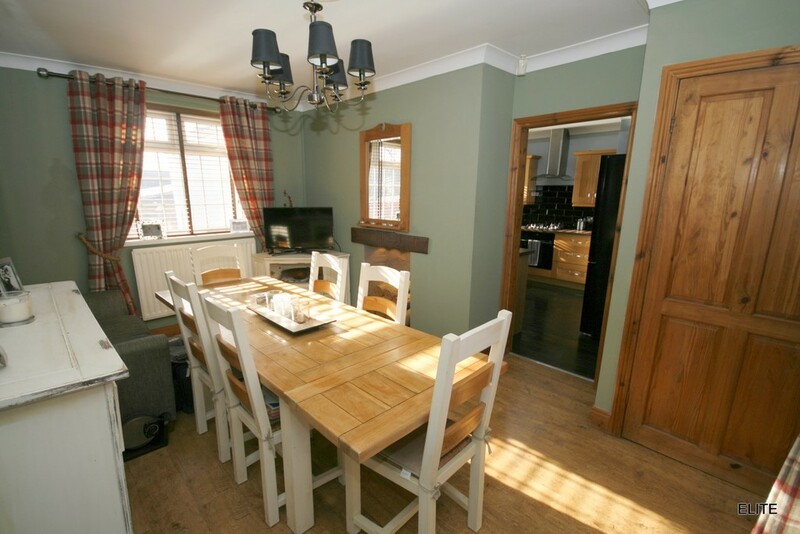 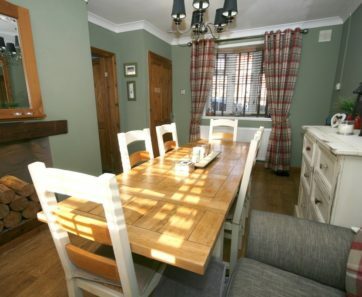 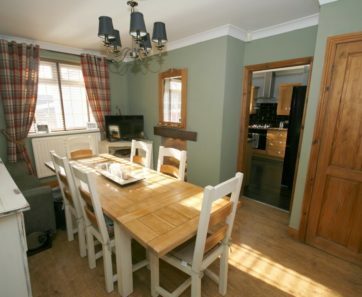 DINING ROOM 14' 10" x 9' 6" (4.539m x 2.907m) Beautifully presented with a rather stylish shabby chic feel complete with oak effect flooring, coving to ceiling, painted walls, central light and radiator. 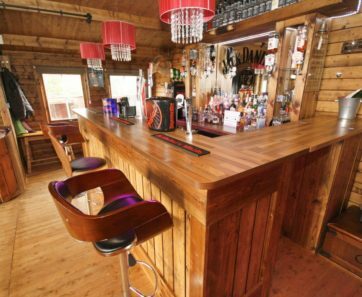 The dining room currently accommodates a table and six seats but could easily accommodate more, perfect for socialising and entertaining. 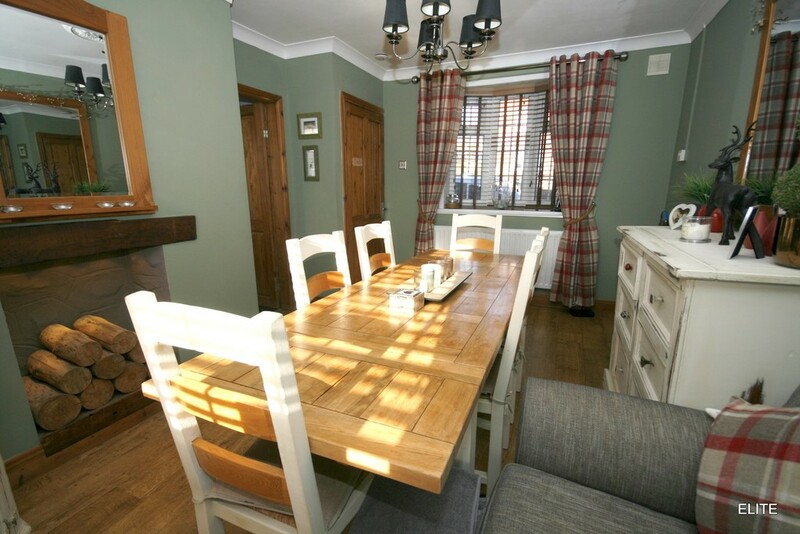 A wonderful fireplace with girder is a wonderful feature in the rather elegant dining room. 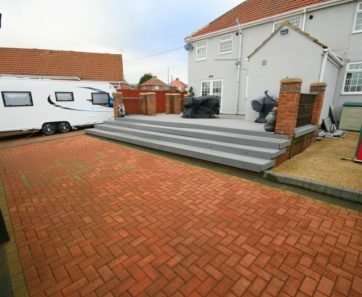 Dual aspect. 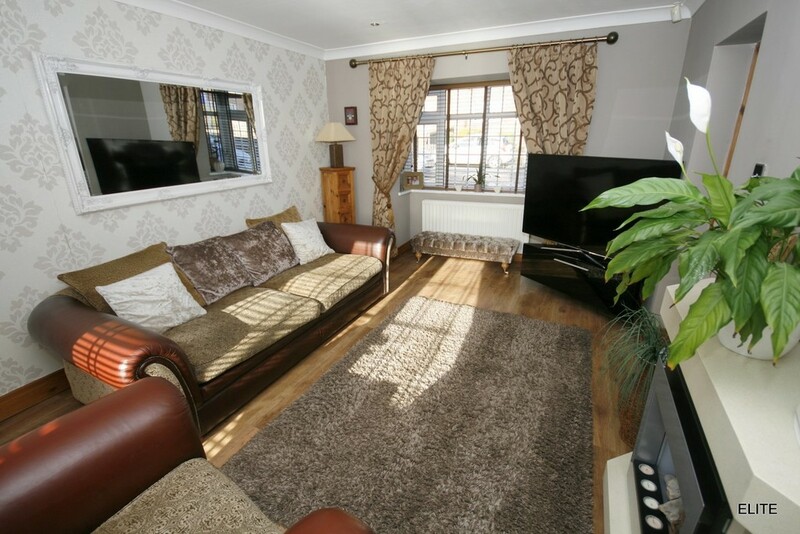 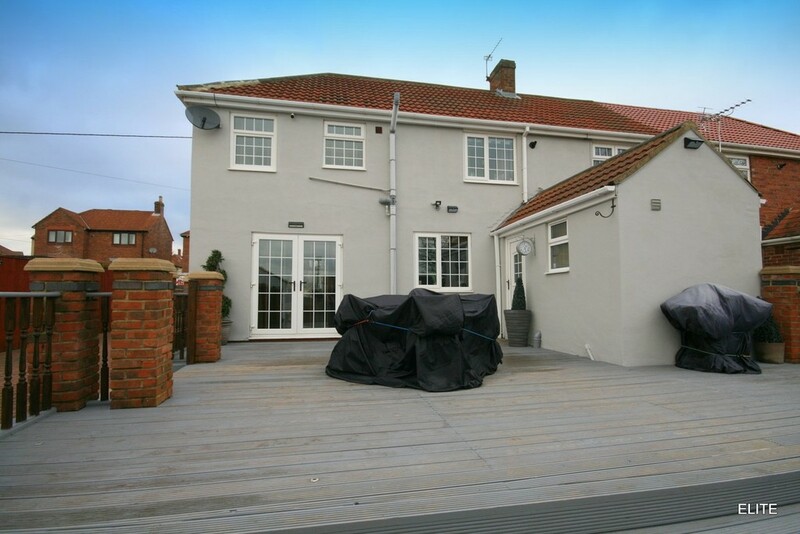 LOUNGE 22' 10" x 17' 10" (6.979m x 5.436m) Superbly proportioned with feature bay window situated on the front elevation whilst to the rear French doors lead out to the rear garden. 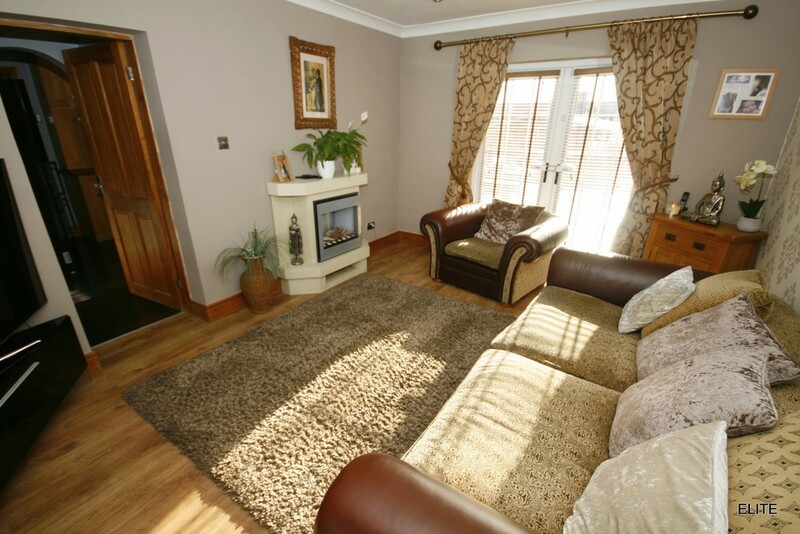 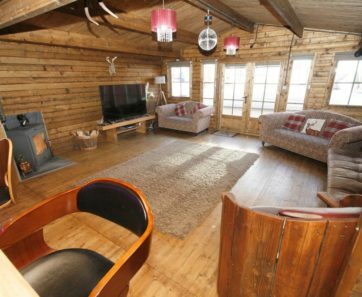 This wonderful lounge is complete with oak effect flooring, coving to ceiling, spot lights to ceiling, wall mounted feature fireplace, feature wall covering to one wall. 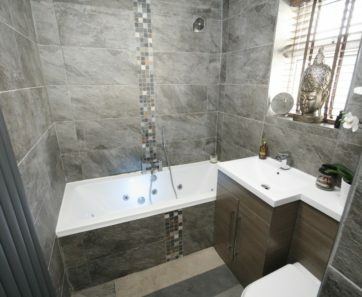 FAMILY BATHROOM 10' 5" x 5' 5" (3.186m x 1.654m) A boutique design family bathroom, simply stunning, double ended jacuzzi bath with water fall chrome taps, full height tiling to walls with feature mosaic design to one wall, tiled bath panel with feature mosaic design, built in vanity/storage unit housing white ceramic sink, low level back to wall WC, tiling to floor, wall mounted anthracite paneled radiator, window, spot lights to ceiling. 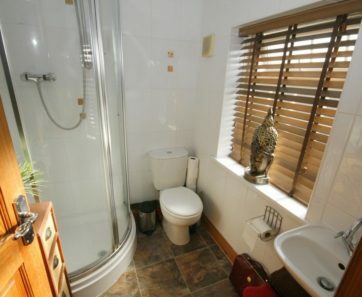 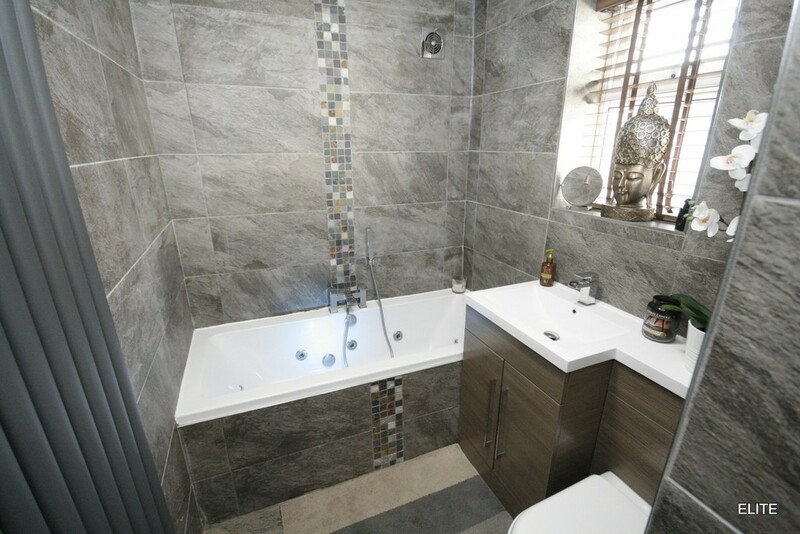 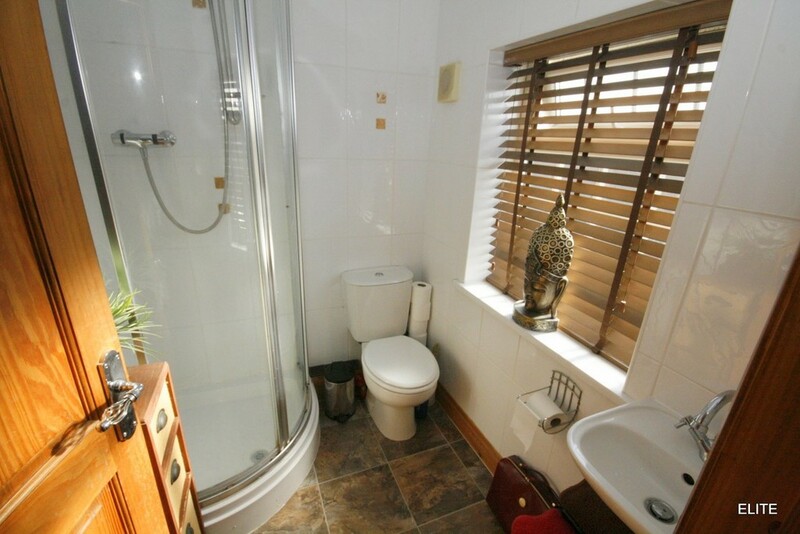 ENSUITE Comprising of corner shower cubicle with chrome shower head, low level WC, white pedestal hand basin, tiling to walls, tiling to floor, spot lights to ceiling, window. 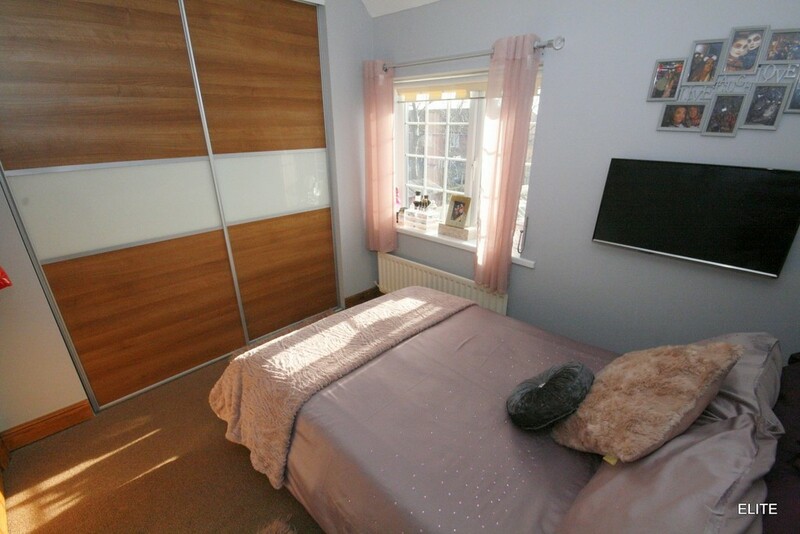 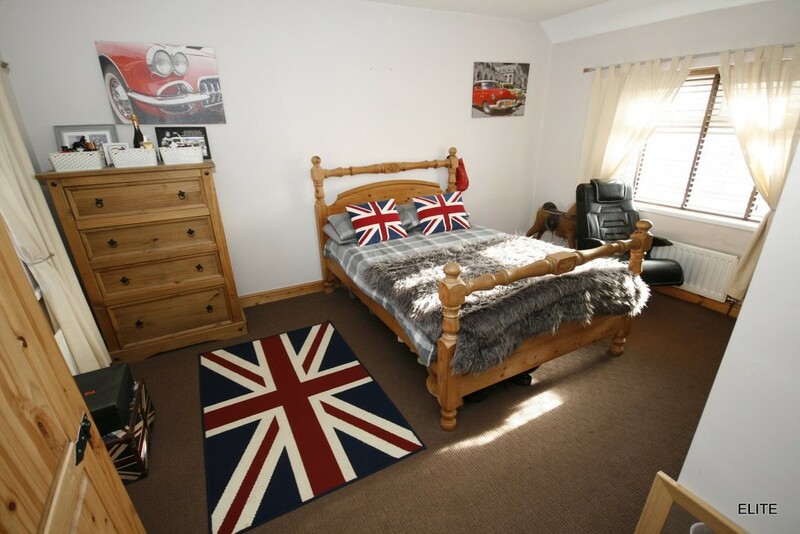 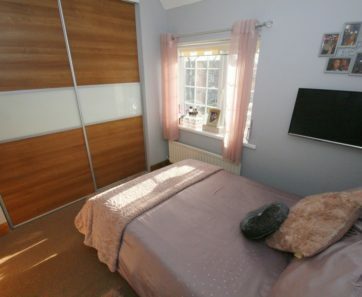 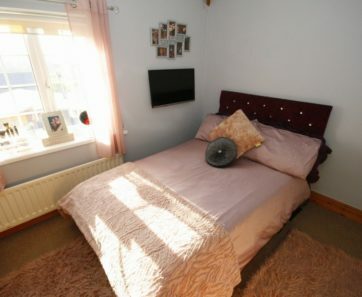 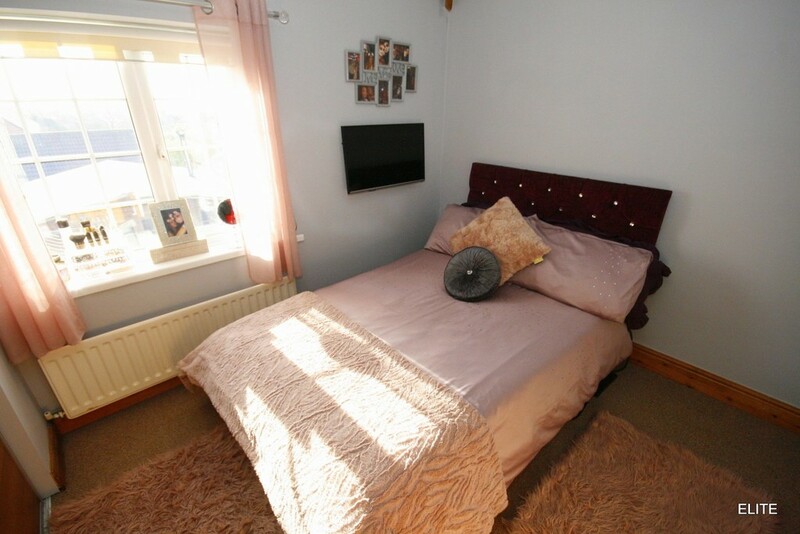 BEDROOM TWO 14' 6" x 13' 0" (4.44m x 3.97m) A superb sized double bedroom complete with neutral décor, DUAL ASPECT, extremely spacious and bright overlooking both front and rear. 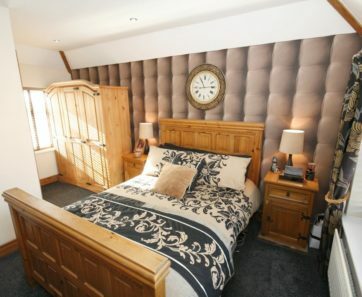 BEDROOM THREE 9' 2" x 8' 5" (2.803m x 2.572m) Another double bedroom complete with oak effect sliding door wardrobes with feature panel, neutral décor, located to the rear elevation. 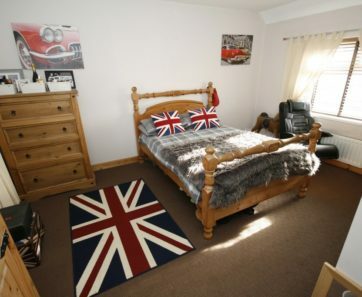 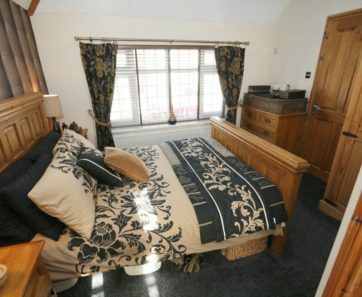 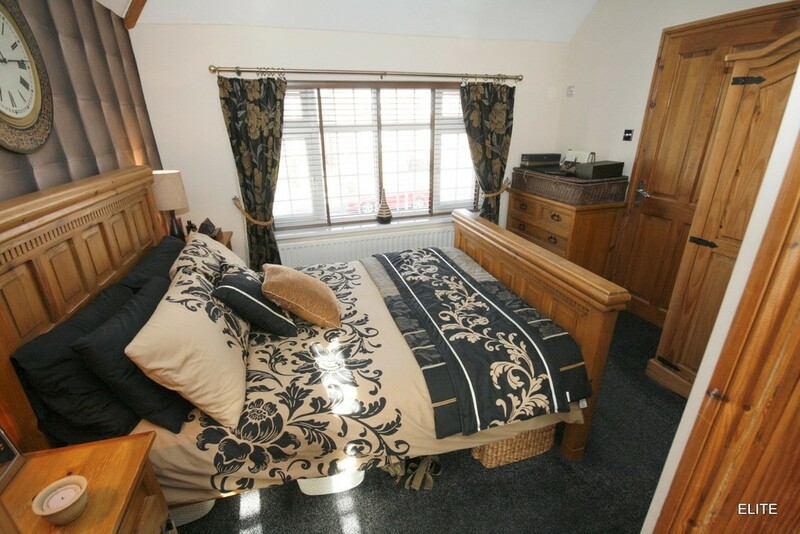 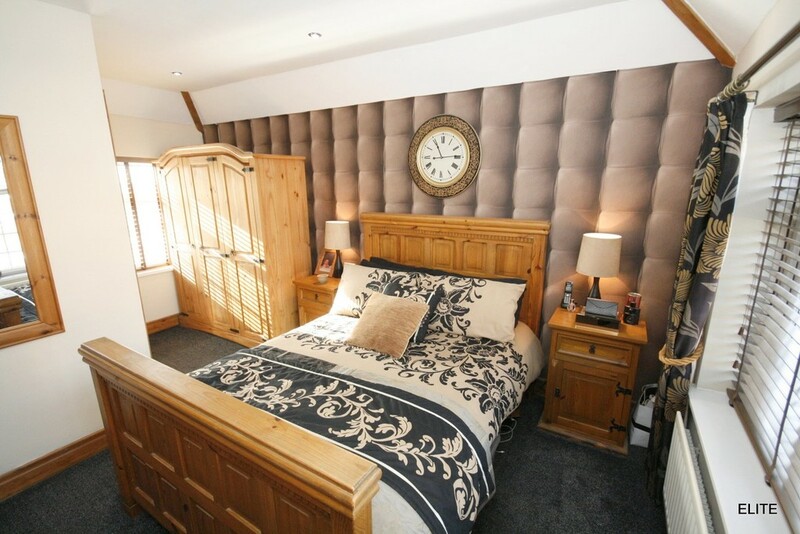 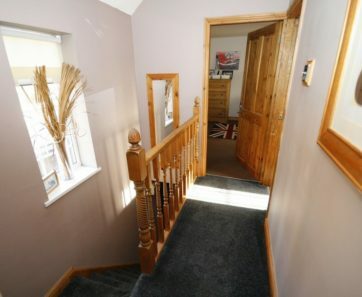 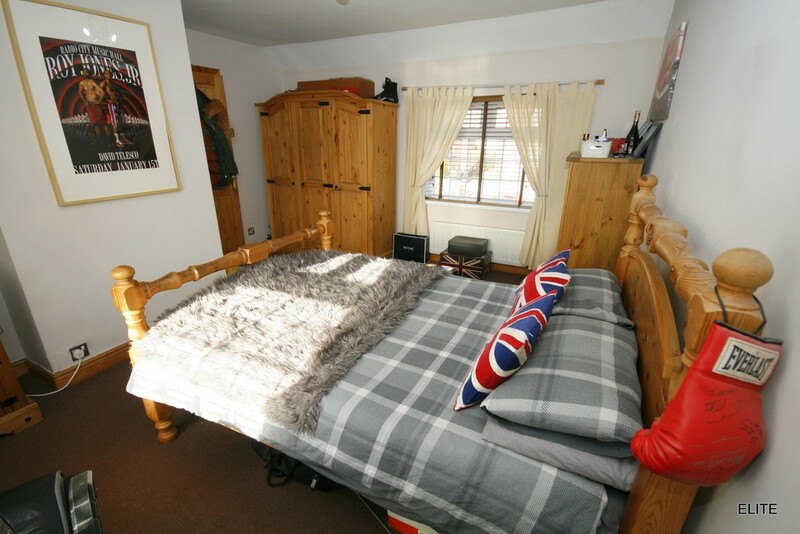 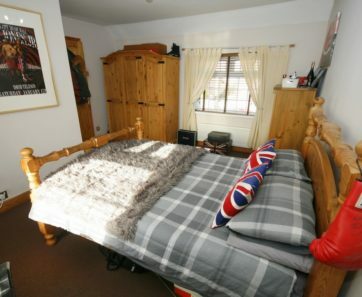 A superb sized third bedroom. 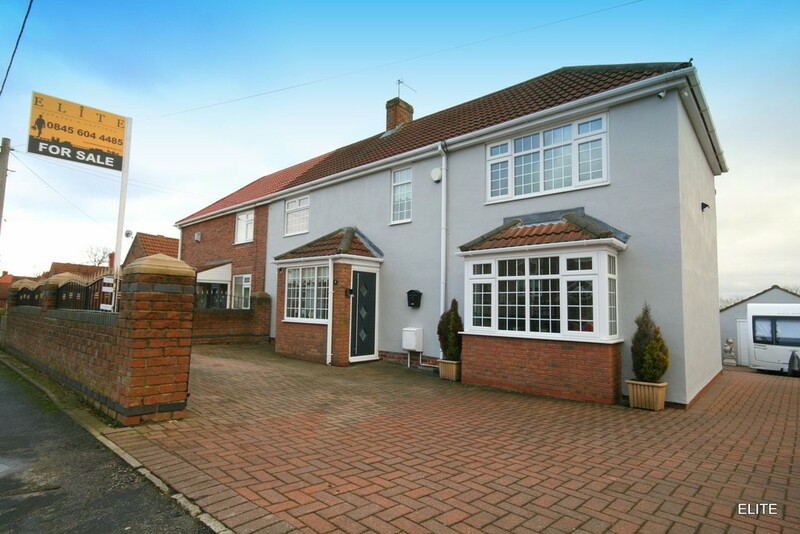 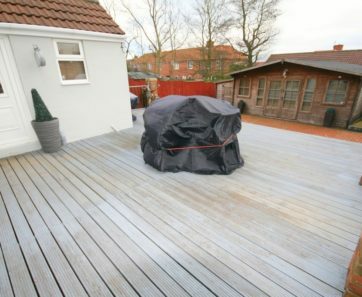 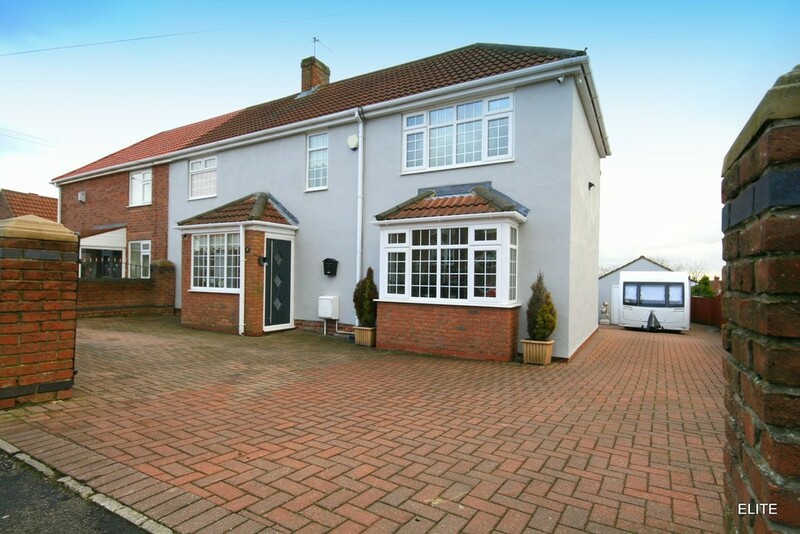 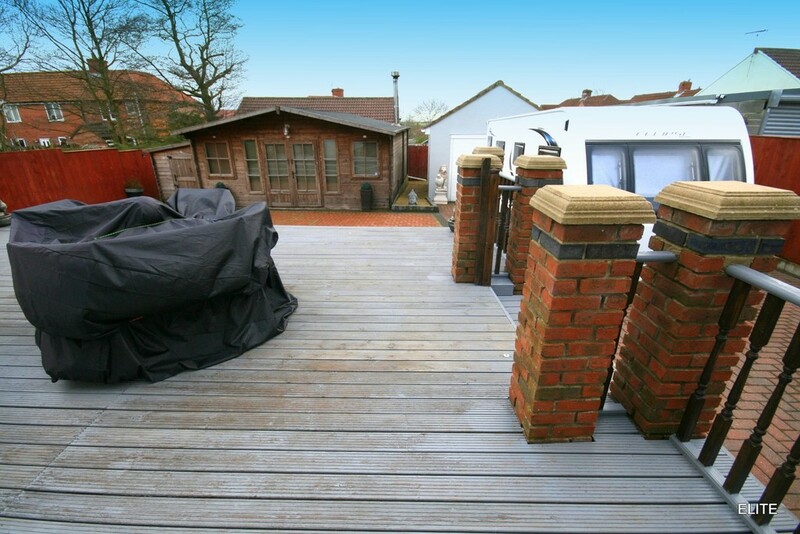 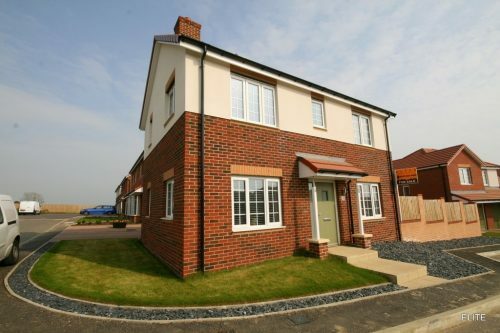 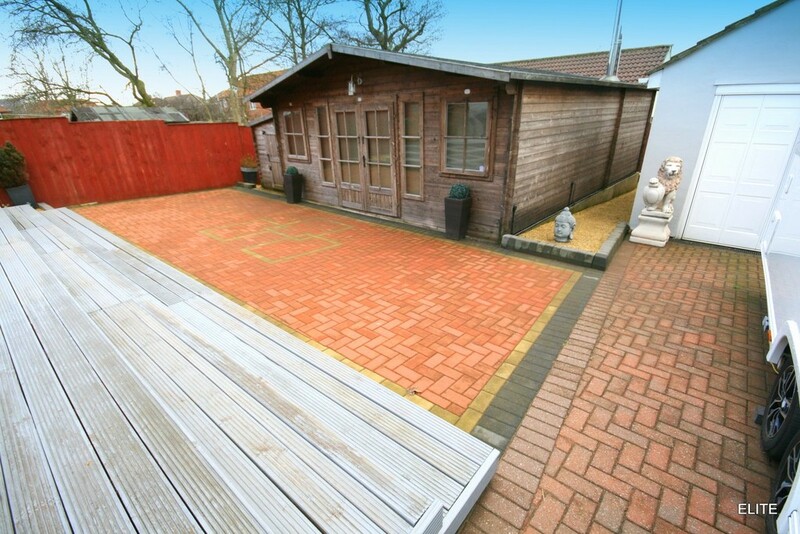 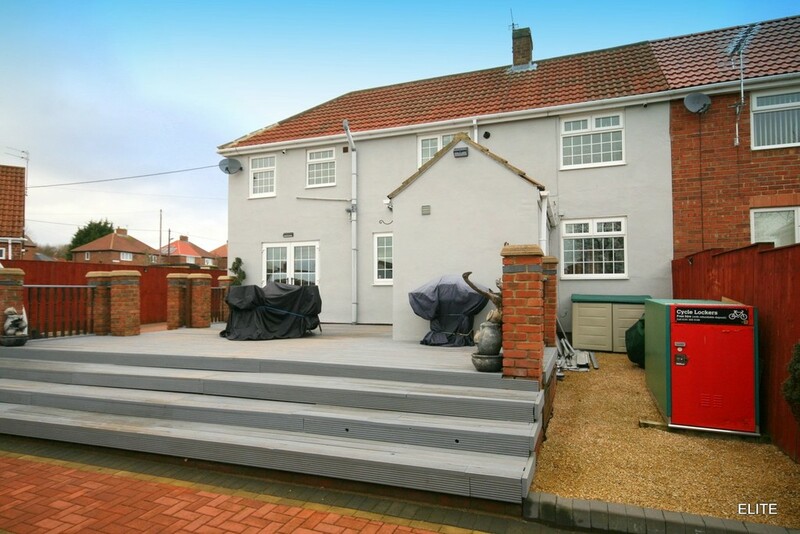 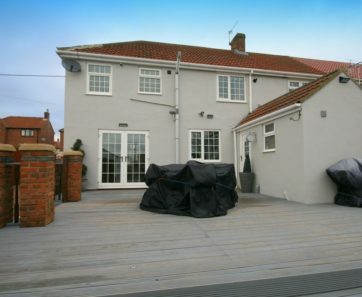 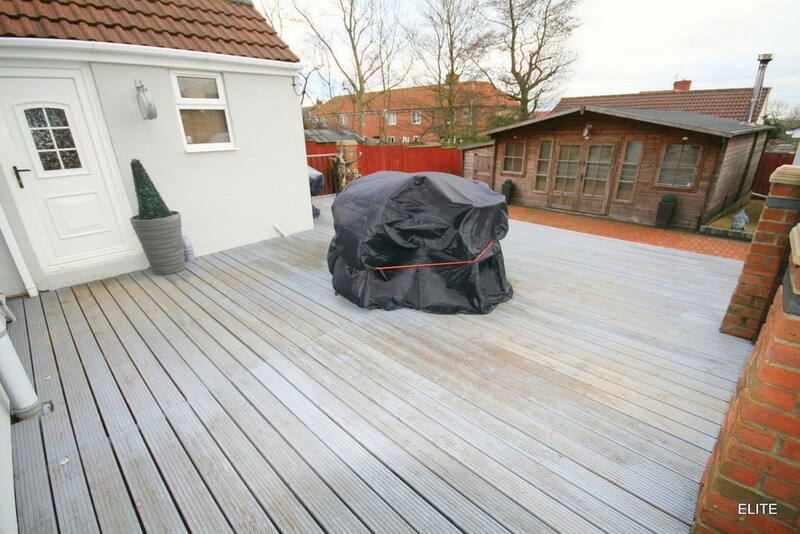 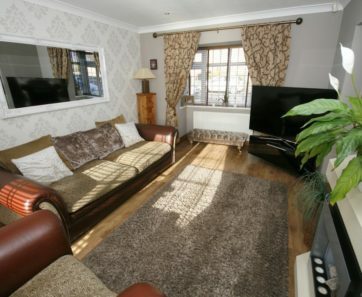 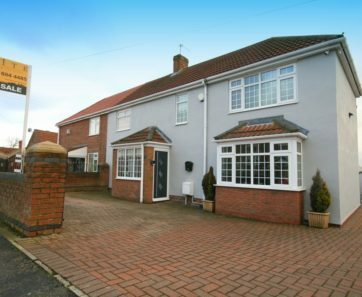 EXTERNAL The property is situated on an impressive plot, a block paved wrap around drive provides substantial parking. 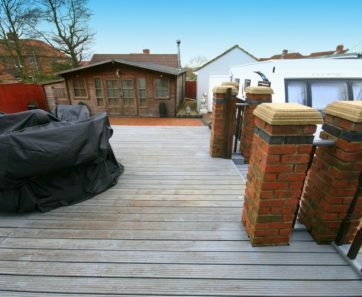 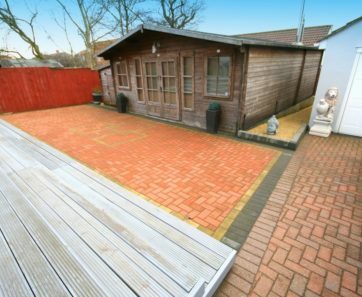 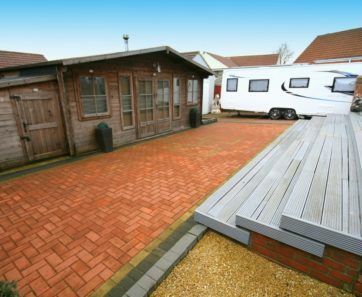 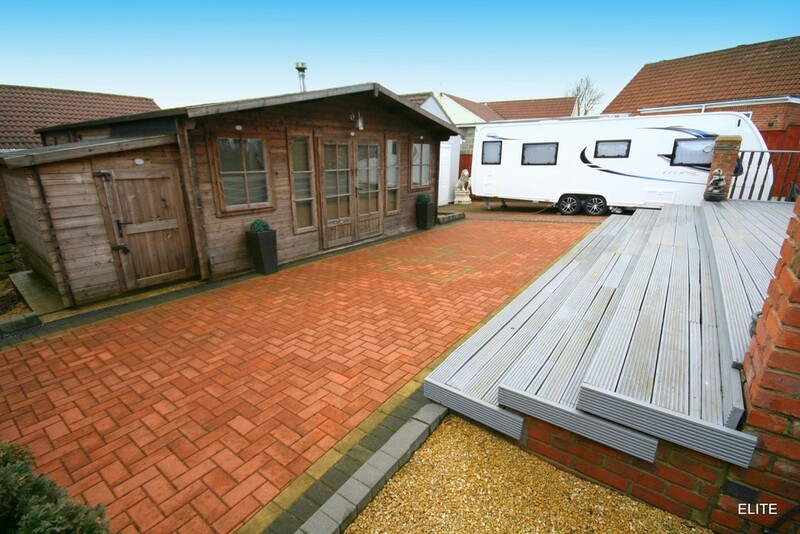 Carefully and cleverly designed by the current owners to provide a superb low maintenance outdoor space with seating decking area and a large block paved patio, extremely private to create a wonderful socialising space. 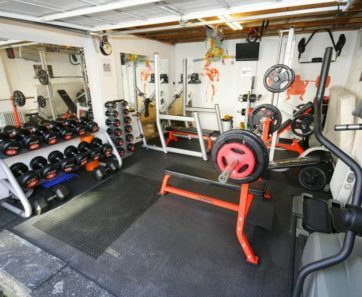 A larger than singe garage which the current owner currently uses as a home gym with power and lighting and REMOTE DOOR. 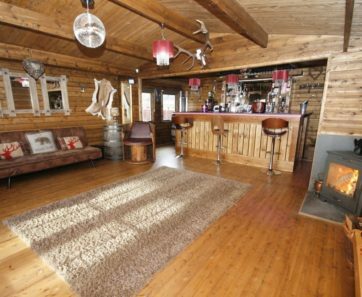 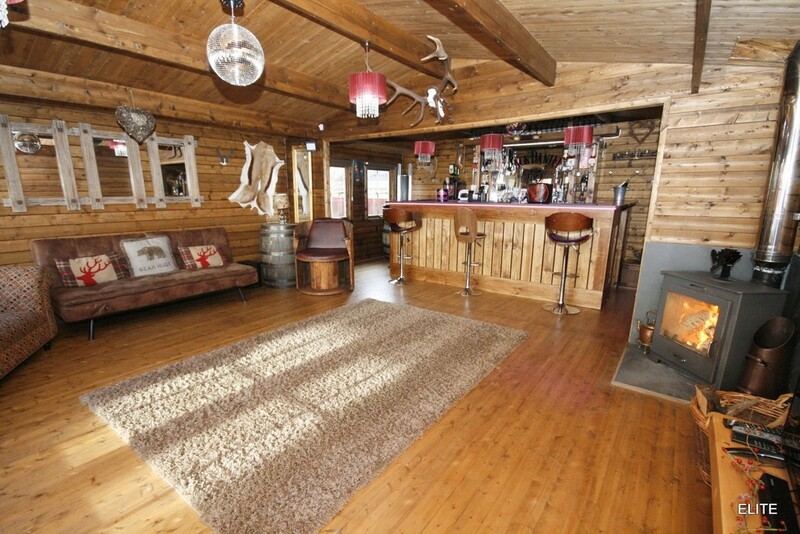 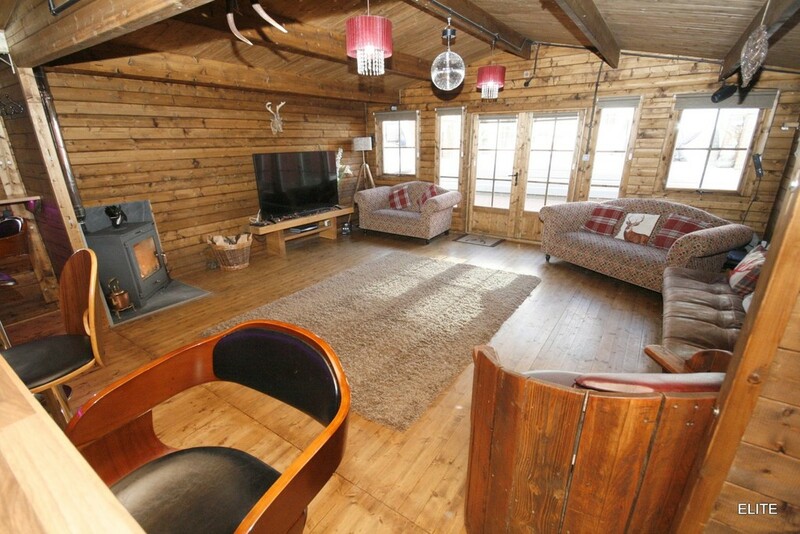 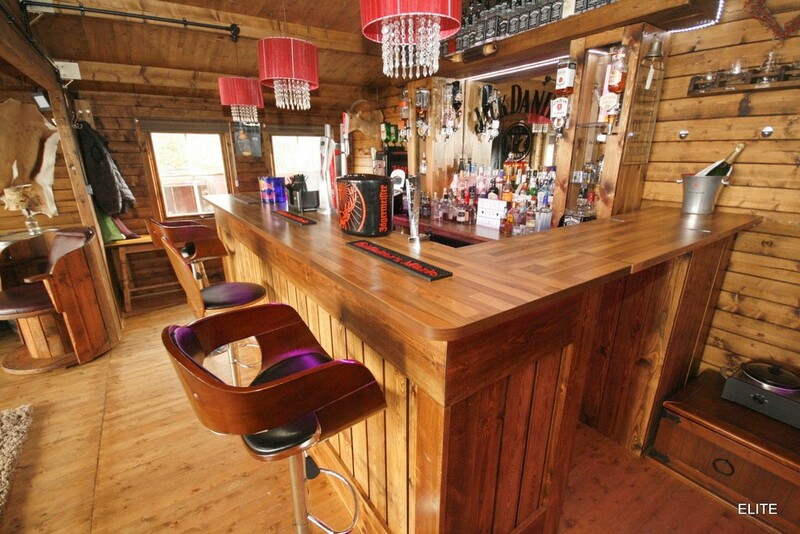 LOG CABIN 25' 6" x 18' 8" (7.790m x 5.691m) The rather AWESOME LOG CABIN which ha been designed by professionals and beautifully constructed in solid wood to create a magnificent entertaining and socialising space. 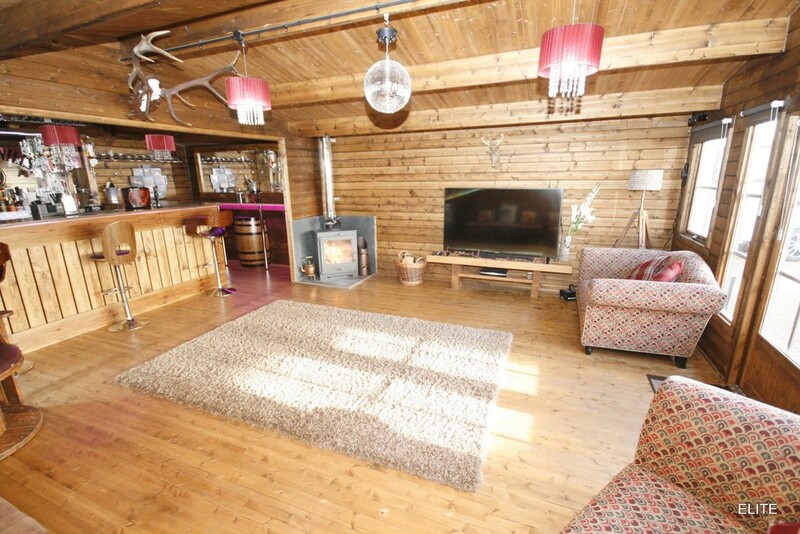 Fabulous relaxing area with a stunning log burner and a bespoke bar, solid wood floors, power, electric, lighting, impressive interior design and costing in excess of £10,000 it is no wonder the current owners are sad to have to leave this magnificent addition behind. 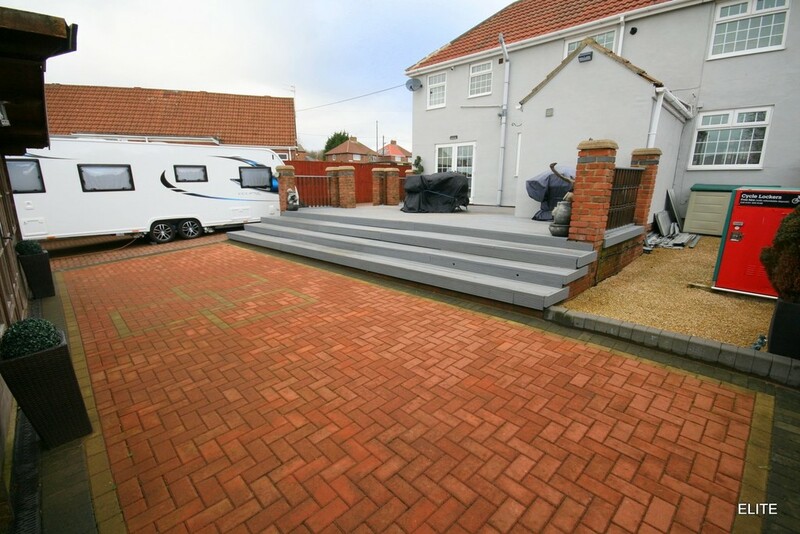 Must be seen to appreciate the scale of this fantastic feature!